Traditional Chinese Medicine. Oriental Medicine. Classical Chinese Medicine. Traditional East Asian Medicine. These and other topics might just be up your alley. Then this list is for you. A fairly in-depth understanding of Taoist topics are at the root, such as Yin and Yang,The Five Phases of Energy Transformation (popularly known as The Five Elements) and others. Other concepts, such as Qi – the Meridians they travel through, the Zang-Fu (the organ system), the San Jiao or Triple Warmer / Burner, the Three Dan Tian and overall, the Traditional view of the Body. Books and treatises on a multitude of topics abound, such as the classic Yellow Emperor’s Internal Scripture, the Treatise on Cold Damage Disorders, Recipes for Fifty-Two Ailments, the Essential Prescriptions from the Golden Cabinet and many others. In modern times we have the Journal of Traditional Chinese Medicine as well as countless others. Famous doctors of TCM abound as well, like Hua Tuo, Sun Simiao, Tao Hongjing, Zhang Yuansu, Li Shizhen, and still…You guessed it – many others. But just what is it? I’ll give you a hint: It is NOT simply Acupuncture. Why? Because Acupuncture is simply one small modality, like prescribing pills in Western medicine. Is that all that a Western doctor does? Of course not. And it’s obviously not the be-all, end-all of the medicine system itself! In fact, most pharmaceuticals come from the natural world. In this listing of TCM Podcasts, you’ll find entertaining yet educational podcasts that discuss these topics and more. So dive in! The Balancing Point radio show and podcast explains Traditional Chinese Medicine, acupuncture, herbal medicine, qi gong, tai ji, supplements, nutrition, dietary therapy, functional and integrative medicine. Oriental medicine was not developed in a laboratory. It does not advance through double-blind controlled studies, nor does it respond well to petri dish experimentation. Our medicine did not come from the statistical regression of randomized cohorts, but from the observation and treatment of individuals in their particular environment. It grows out of an embodied sense of understanding how life moves, unfolds, develops and declines. Medicine comes from continuous, thoughtful practice of what we do in clinic, and how we approach that work. The practice of medicine is more — much more — than simply treating illness. It is more than acquiring skills and techniques. And it is more than memorizing the experiences of others. It takes a certain kind of eye, an inquiring mind and relentlessly inquisitive heart. Qiological is an opportunity to deepen our practice with conversations that go deep into acupuncture, herbal medicine, cultivation practices, and the practice of having a practice. It’s an opportunity to sit in the company of others with similar interests, but perhaps very different minds. Through these dialogues perhaps we can better understand our craft. Breaking news and research on acupuncture, Chinese medicine, and herbal medicine with HealthCMi. Join Dr. George Lamoureux and John Bonds from JingHerbs.com to explore the history, healing, and empowerment of Classic Chinese Medicine, herbs, and thought. Dr. George Lamoureux, the founder of Jing Herbs, holds a Doctorate in classical Chinese medicine, is a licensed acupuncturist and a certified Medical Qigong practitioner. Dr. George also completed programs of study at both the Shanghai and Chengdu hospitals of Traditional Chinese Medicine, People’s Republic of China. 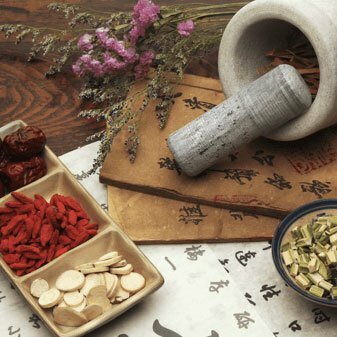 Heard about Traditional Chinese Medicine (TCM) but not entirely sure what it is or what it could do for you? Here at Your Tea we create TCM herbal tea blends formulated to benefit modern world problems, like weight gain, cellulite, sleeplessness and women’s health. Dr Nat Kringoudis is a Doctor of Traditional Chinese Medicine, she’s also our ambassador and the host of Modern Health & Ancient Medicine. She’ll take you through the ins and outs of TCM and explain how it could be the key to balance you’ve been searching for. The Wellness in China podcast speaks with the top movers and shakers in the booming Chinese health and wellness industry, with host and Doctor of Natural Medicine, John Vallis. AJ is one of those people who is hungry for knowledge about topics that interest him. Being an Acupuncturist, he is constantly seeking out information about acupuncture, Chinese Medicine, nutrition, and all things that being an Acupuncturist encompasses. Knowledge is power that can help him heal his patients while at the same time grow and perfect his business. There are many sources of information that AJ turns to in order to continue learning and growing. He reads books, attends seminars, reads articles in magazines and on the Internet, listens to podcasts, and reaches out to other Acupuncturists to pick their brains. AJ had his AH-HA moment recently in the middle of a conversation with a very knowledgeable and wise Acupuncturist who had been practicing for many years. He realized that the knowledge from this man, as well as many other equally as knowledgeable Acupuncturists, could benefit other Acupuncturists and Acupuncture students. There are many great podcasts out there, but none that offer ongoing education for Acupuncturists. AJ knew that he loved listening to interviews, and how other Acupuncturists had succeeded in their niche. A concept of what he considered a perfect show began to form. A show that would inspire acupuncturists to be the best that they can be. Contrary to popular belief, acupuncture is not just sticking needles into people. It is a way of gently coaxing healing from the body, by helping the body to listen to itself. While acupuncture is one of the pillars of Chinese medicine, herbal medicine, dietary habits and the influences of foods, movement and postural practices, and a vital blend of ancient physiology along with a keen observational eye for how multiple systems work together all are aspects of Chinese medicine that we will discuss here on Everyday Acupuncture. So in addition to acupuncture we will touch on those wider aspects of Chinese medicine. And even some aspects of modern medicine as they relate to the ancient Chinese wisdom about health and well-being. Heavenly Qi is a weekly 30-minute conversation about all things Yin and Yang, reaching out to practitioners of Traditional East Asian Medicine around the world. Kenton Sefcik, Registered Acupuncturist, mentors those who want to excel at TCM-syle acupuncture. You know that health and happiness aren’t things you can outsource. You’ve also got a full plate, and making the time to take care of yourself can be challenging. A Healthy Curiosity is here to support you. The Mission is to explore what it takes to be well in a busy world, offer self-care strategies and support around what gets in the way, and demystify natural healing modalities. Host Brodie Welch, L.Ac., is an expert in Chinese Medicine and acupuncture, as well as a teacher and practitioner of qigong, meditation, yoga, lifestyle and diet counseling who tries to walk her talk about health and mindfulness as a recovering Type-A, parent, and business owner. The podcast blends interviews with fellow experts in Chinese Medicine and natural healthcare about the conditions we treat and strategies we use clinically, with simple self-care tips to help you feel calm, centered, and energized; and personal chats where we explore what gets in the way of our best intentions: perfectionism, big goals, habits and routines, chronic pain, overwork and overwhelm, boundaries, limiting beliefs — and what it takes to overcome such obstacles mindfully. Acupuncture, herbs, and Chinese medicine are discussed by Adam White, L.Ac., a licensed acupuncturist, and herbalist. The PinPoint Performance is a podcast where Chad Bong will interview leading sports acupuncturists to dig into sports acupuncture’s history, influences, current treatment strategies, and where we are headed in the future. We will also aim to increase the professions understanding of sports training, injuries, and the mindset of the athlete by interviewing Athletes, Coaches, Trainers, and Sports Psychologists. A renowned educator in the fields of nutrition and Chinese Herbalism, Roger Drummer brings his 30 years of experience as a Diplomate of Chinese Herbology to these engaging conversations. Tune in for cutting-edge information on today’s important health topics. Roger’s unique style takes the guesswork out of complicated health issues. HerbWorks is committed to helping you improve your health and enhance your life, through herbs and common sense.